PC Cable Tester Pro & ATA - All-in-One Universal Cable Tester are the advanced version of the original PC Cable Tester - All-in-One Universal Cable Tester. The Pro version provide with the USB and 1394 Firewire cable test, the ATA version supports a serial ATA attachment. PC Cable Tester ATA - All-in-One Universal Cable Tester is capable of testing nearly every PC cable on the market. 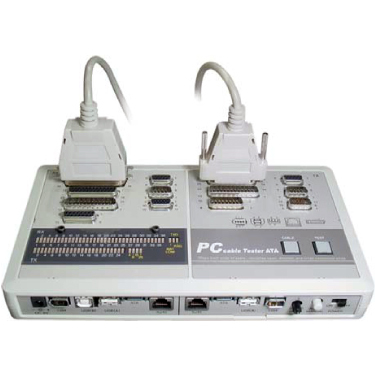 PC Cable Tester - All-in-One Universal Cable Tester is a stand–alone testing device designed to provide users with a wiremap of standard PC data cables. Its unique LED display clearly determines wiring status by providing a pin–to–pin outline of the actual wiring configuration. PC Cable Tester - All-in-One Universal Cable Tester can quickly and simply diagnose the existence of open wires, shorted wires, crossed wires, mis–wiring, and continuity. 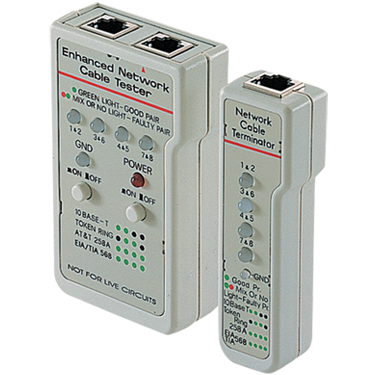 Enhanced Network Cable Tester – RJ45 Basic Network Cable Tester 251452 Our comprehensive range of cable testers have many different levels of features. Designed and developed for cable installers and network professionals, there is a tester to suit your requirements. From the wire mapping function of the LANtest - RJ45 Basic Network Cable Tester to the coaxial tester, simply pick the model with the features that best suits your needs. 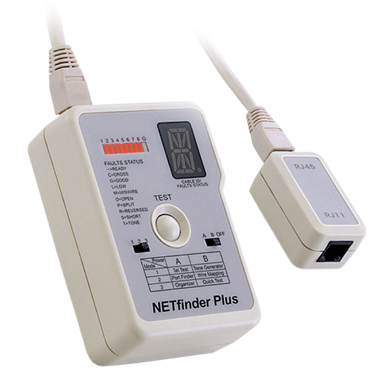 The NETfinder Plus – Tone Generator & Port Finder & Cable Organizers is a versatile and convenient tester, it can test both net and telephone cables. The NETfinder Plus – Tone Generator & Port Finder & Cable Organizers includes a tone generator, portfinder, cable organizer and memorized quick tester. 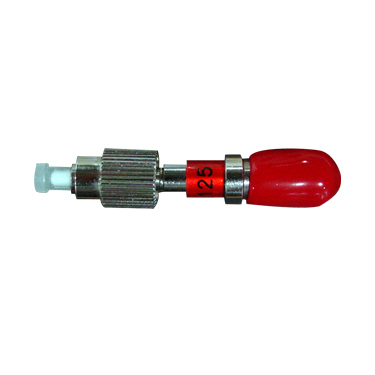 CLICKCLEAN – One Click Cleaner 1.25mm (LC and MU connectors type) is a dry clean tool for fiber optic network maintenance. 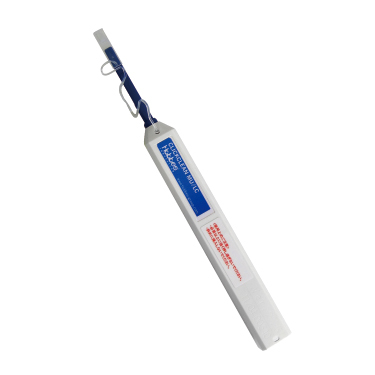 It is a simple to use cleaning tool that contains a lint-free, non-scratching and anti-static fabric.